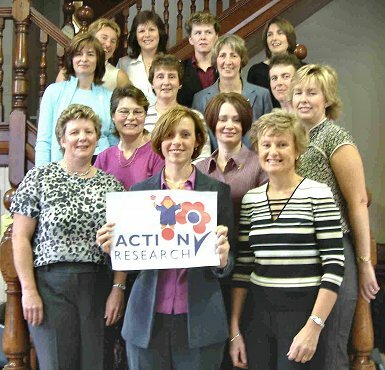 "Action Research for Crippling Diseases of Childhood" ( www.action.org.uk )was founded as a charity in 1952 , to fund research into the prevention or treatment of crippling and life threatening disorders. 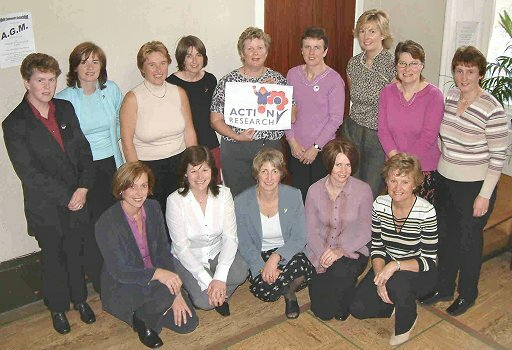 A local committee started in Maybole in 1964 and last Saturday the present committee of the charity, which has now been renamed "Action Medical Research", held its annual fundraising event in Maybole Town Hall. This took the form of a lunch and was well attended. 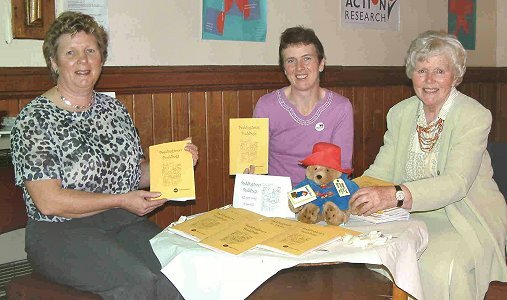 The committee also launched a new booklet of pudding recipes, "Paddington's Puddings", named after the charity's mascot Paddington Bear. Dr Elizabeth Haggarty, a founder member of the Maybole committee said, "These delicious, mouth-watering recipes are personal and loved recipes of the members of the 2003 Maybole and Girvan Action Medical Research Committee." She urged as many people as possible to buy a copy which costs £3 or two for £5, saying, "Please buy a copy. Eat and enjoy every one of these delicious recipes, knowing that the money you spend will be used to fund research into treating the formerly untreatable. Congratulations to the Committee members for all their work in producing this wonderful book." Dr Haggarty also said that the Maybole branch was one of the first in Ayrshire. "It has always had a very dedicated committee," he pointed out, "and has received very generous support from the public in fund-raising for its vital work." The first life-saving projects funded by the charity were for children and included the immunisation of young women against rubella to prevent babies being born with major heart defects; the giving of folic acid in pregnancy to prevent spina bifida and immunisation against poliomyelitis. Since then many vital research projects have been funded to benefit all age groups including hip replacement surgery and ultra-sound scanning. In 2003 Action Medical Research is funding 17 new research projects with a financial commitment of more than £1,250,000. In October 1966 the Maybole committee held a fund raising dance in the Town Hall and the popular dance bands of Mr Alex McKay (Butcher) and Mr Jack Cook provided the music. Dr Haggarty provided a photograph of the then committee attending what she described as "a very happy and successful evening". There is only one name missing - can any of our readers remember who they all were?